So, you’ve been wearing your braces for what seems like forever. You’re ready to get them off and see your spectacular new smile, but your orthodontist says you’re not ready yet. Maybe you were originally told you’d only need to wear them for a year or two and you’ve past that deadline. Why is this? There are a number of reasons why your orthodontist might not feel you’re ready to complete treatment just yet. Some reasons might be the result of things you are doing, while others are completely out of your control. One cause for your treatment taking longer than expected is if you’re not attending appointments when you’re supposed to. Pushing them back prohibits your orthodontist from checking on the status of your teeth’s alignment. Additionally, your orthodontist needs to be able to adjust and move your wires at regularly scheduled intervals; if you’re pushing appointments back, that will in turn, delay the completion of your treatment. Another possible cause for delay in your treatment might be that your teeth are just moving slower than anticipated. This is something you cannot control, so the best option is just to accept your new timeline and do everything in your power to stay on track with treatment. If, for whatever reason, you’re not cleaning your retainers/braces and teeth thoroughly enough, this could cause significant problems in your treatment. Issues with your oral health will have to be dealt with as the highest priority and these complications can interrupt treatment. For all of you Invisalign wearers out there, you might be tempted to take your aligners out when you attend social gatherings, play sports, etc. It is recommended that you wear your retainers for at least 22 hours a day. This essentially means they should only be taken out to eat or drink anything that’s not water. (Colored liquids can stain your aligners as well as cause cavities.) So, when you take your aligners out to eat or drink, brush your teeth as soon as possible and pop them right back in. This will keep your treatment moving forward and you’ll have that perfect smile in no time! 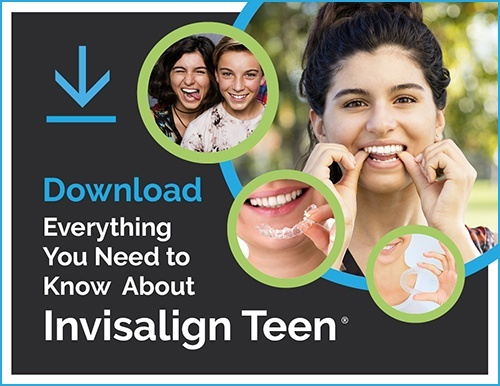 Having a properly aligned bite is another lesser known factor that goes into your orthodontic treatment. If your orthodontist feels your bite is not aligned as it should be, they are likely going to make further adjustments to your teeth. This might add time to your treatment, but in the long run, will ensure your teeth and enamel stays nice and healthy. A misaligned bite could result in your teeth rubbing where they shouldn’t, which can wear down your enamel over time. You might be nearing the end of your treatment and think since your teeth look perfect, you’re good to go. The truth of the matter is your teeth need time to set after they’ve been adjusted to their final positions. Your braces or Invisalign aligners will be used to hold them in place so they are more likely to remain in their new, perfect alignments. Remember, your orthodontist’s ultimate goal is to give you the perfect smile while ensuring your oral health. Be patient and trust what they tell you. They’re looking out for your best interest!